Bowker lettings are pleased to offer this 2 bed property in the popular and sought after area of Blackrod, this property is ideally situated close to all the local amenities that Blackrod has to offer. There is great commuter links to with both the A6 and the M65 motorways only a short drive away, it also has the added benefit of being close to the Middlebrook retail park, and Horwich town center is also close by! This stunning house briefly comprises of a Kitchen, and a Lounge area to the ground floor, moving on up the stairs we have 2 bedrooms and family bathroom. 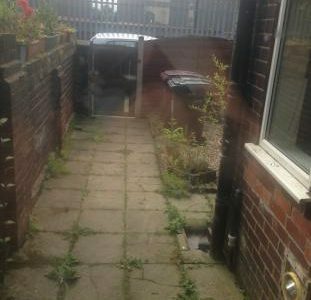 there is a rear yard that is ideal for those of us who don’t really have green fingers. This would make a perfect home for a young couple, or a single person, who are just starting out, or even a small family..